Craft distilling is a brutally difficult endeavor. Unlike craft brewing, where small scale production can be a major benefit (with the ability to quickly shift products and produce seasonal offerings), craft distillers often struggle with the lack of economies-of-scale, which help make the production of spirits considerably more efficient, less expensive, and a lot easier. Craft distilling is a fairly recent movement in the US, so the learning curve is much steeper and the experience level of many craft distillers is much lower. Unfortunately, many of the craft spirits sent to us simply don’t measure up to the high level of precision and craftsmanship of major commercial products. On balance craft spirits can be expensive, under aged, and rough around the edges. Worse, some craft distillers use shortcuts like small barrels and wood chips try to quickly age their products and rush them to market. Some “craft” distillers even buy commercially produced spirits, filter them, and then rebottle with their name on it (we won’t mention any names, but you should look into the source for both Tito’s and Templeton). It’s perhaps because of all of this that we are pleasantly surprised when we receive a craft product that is well produced and well executed. 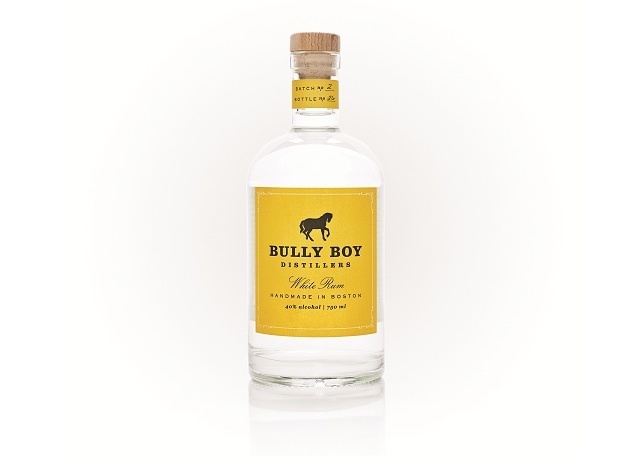 Bully Boy Distillers is the first craft distiller to have set up shop in Boston, MA, producing a wide range of craft products including Bully Boy American Straight Whiskey. We were impressed by the way Bully Boy showcased their concepts in their American Straight Whiskey, but felt it needed a little more time to mature. Given the skill behind their whiskey, we decided to see how Bully Boy fared with an un-aged product. Bully Boy Distillers White Rum (40% AVB / 80 Proof, $28.99) – Many craft rums are made from either table sugar (most notably, Rogue White Rum, made from large bags of table sugar and so unpalatable that it could have easily been labeled toxic) or evaporated sugar cane juice. These sugars are used because they are fairly easy to work with and are inexpensive to produce. From the first whiff, we were pleased that Bully Boy is making their rum from molasses. We enjoy rum made with molasses because of the wide range and depth of flavors and aromas that you can pull from it (we also adore fresh pressed sugar cane juice, something that isn’t really used on the craft level). From the nose, Bully Boy’s White Rum reminds us of an overproof Jamaican rum with vanilla, molasses, toasted marshmallow, and a slight funk. The nose does have a bit of an edge to it with a slight amount of vapor, but nothing nearly as strong as if it were indeed overproof. We were surprised by the entry of Bully Boy White Rum – with the strong molasses on the nose we expected a bigger punch with the entry, which comes in soft and slightly delicate with light vanilla and marshmallow. The entry is also a lot drier than we expected. 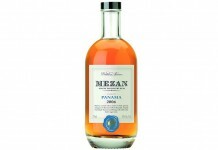 Things build considerably in the midpalate with much more of the molasses from the nose as well as a considerable increase in the heat. The midpalate has an alcohol burn more akin to a higher proof rum than 80 proof. This spike in heat leads to a very dry finish that has a distinct citrus lime note to it. There’s a hint of the molasses in the finish, but it’s very light and ethereal. As with the Bully Boy Whiskey, there are a lot of nice elements here, but they don’t integrate very well. There’s a big disconnect between the nose and the entry, with an unexpected amount of heat in the midpalate and then a very dry finish.. With such a strong midpalate, Bully Boy White Rum is good to mix with and its flavor and complexity work well in a classic daiquiri. Bully Boy White Rum worked better with citrus than it did with mint, as it underperformed in the mojito. 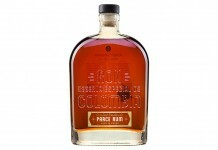 The toughest aspect of this rum is the price point: at $30 a bottle, it’s $10 more than Plantation’s Barbados 5 year rum (one of our gold standards for molasses-based rums) and nearly double most commercially produced white rums.